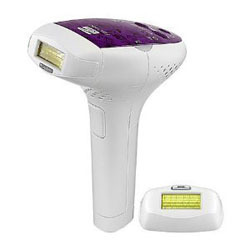 Silk'n Flash & Go is brand new hair removal device that claims it can help reduce facial and body hair. The device uses a technology call HPL which stands for Home Pulsed Light to safely remove hair from the comfort of your own home. The device claims to produce similar results as you would get in clinic type treatments. It has a unique skin colour sensor which ensures that the pulses only emit on suitable skin tones. For best results, you use the device every 2 week for 4 treatments and after this, should only use the device once a month. However the only minus we can see about this device is it is not suited for dark skin tones. With your help we can reach more people and let them know about Silk'n Flash & Go Hair Removal Device whether this product works or not.